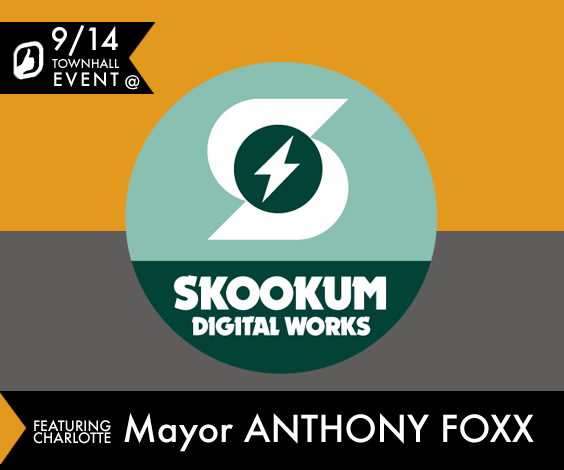 Skookum Digital Works is hosting a townhall event to discuss digital businesses and startup growth in Charlotte with Mayor Anthony Foxx. The event is this Wednesday, Sep 14th at 7:30pm. RSVP on Meetup.com now as space is limited. You can also watch and participate in the event right here over at cltblog.com/live. Watch for our live stream Wednesday evening, and send Mayor Foxx your questions on his Facebook page, or on Twitter (@anythonyfoxx) using the #foxxtownhall hashtag.